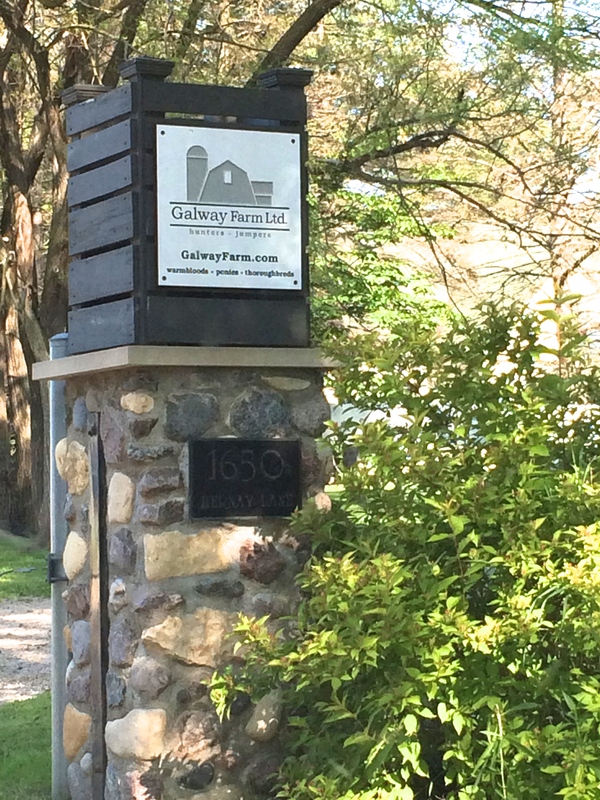 Galway Farm's event venue is perfect for Derby Weekend. 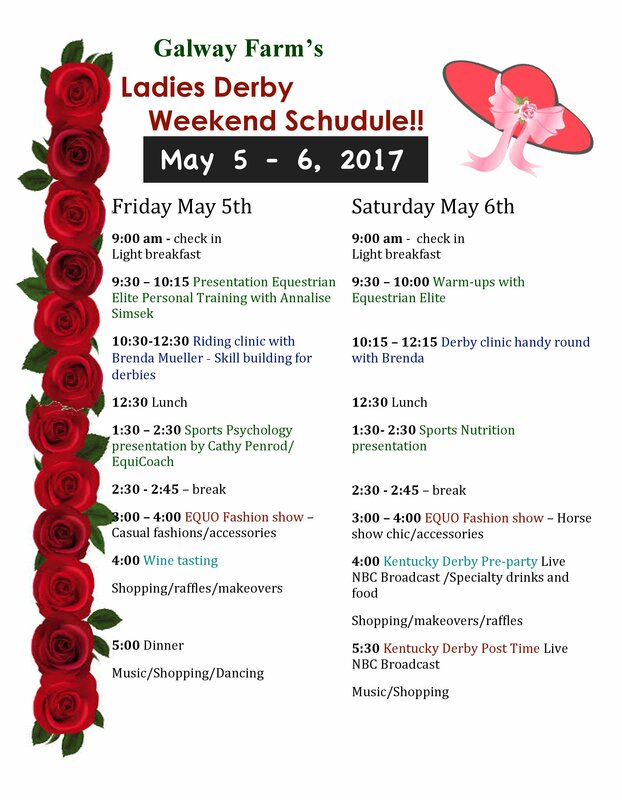 Long Grove, IL - April 14, 2017 - Galway Farm and owner/trainer Lorrie Canady are pleased to present the Ladies Derby Weekend, May 5-6, 2017. The event offers an exclusive opportunity to Ride, Learn, Sip and Shop over an action packed Friday and Saturday. 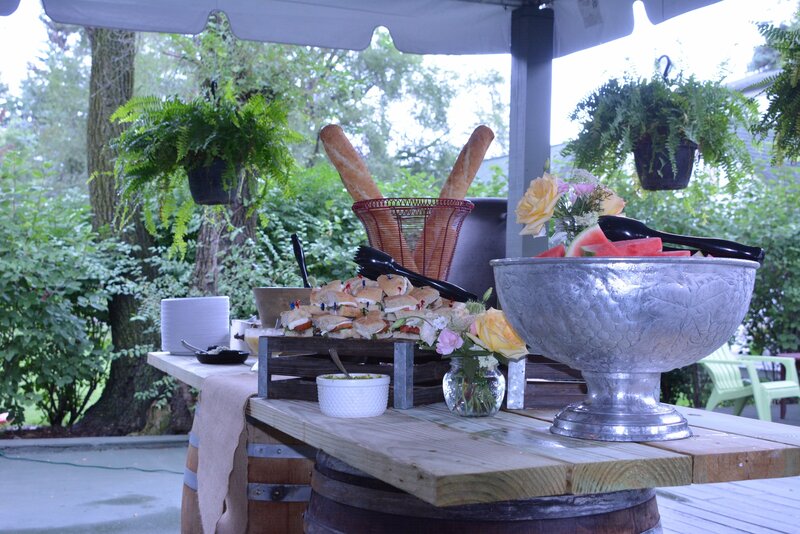 The Galway Farm event venue is the perfect location for this Kentucky Derby themed affair. Ladies can opt to ride in an exciting hunter derby clinic each day with trainer Brenda Mueller, featuring an extra special handy round session on Saturday to build your derby skills. Educational opportunities are provided by speakers on topics of interest to the adult equestrian. 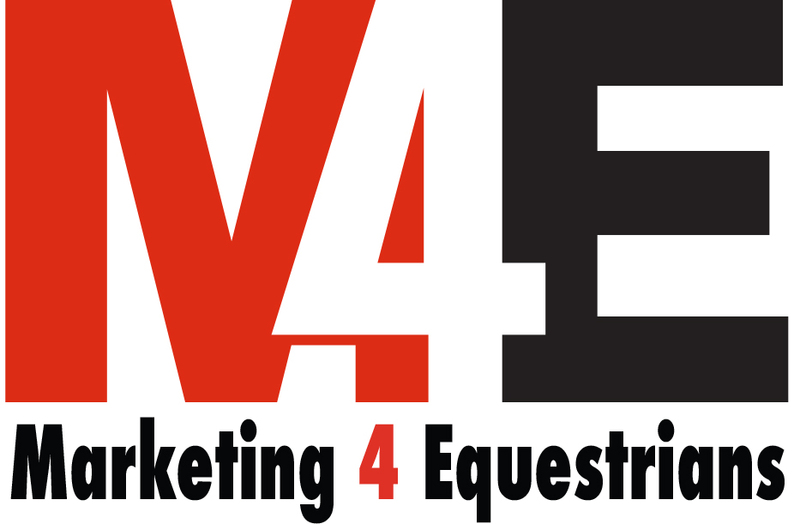 Equestrian Elite will give a presentation on sports fitness and Equicoach will talk about sports psychology. There is also a presentation planned for sports nutrition. Friday features a wine tasting and delicious dinner followed by music and dancing. Saturday features a Kentucky Derby Party and broadcast of the race during a derby themed social hour. Both days will include a fashion show by EQUO and amazing vendors for shopping and makeovers. Come for a weekend of fun and self-improvement to up your game! 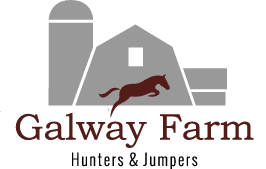 Includes riding clinic, stall fee, bedding, stall cleaning, all events and meals. Full service grooming available for additional $100. Includes all meals and events except riding clinic. Contact Brenda Mueller at Brenda@M4Eq.com or 262-391-6630 for reservations. Bring your besties and have some fun!